The nervous system is the organized structure of nerve endings and cells called neurons. It runs throughout the body. The nervous system function is why we feel and respond to our circumstances, environment and life events the way we do. The classification of the nervous system revolves around its structure. It is organized and labeled as a bodily whole divided into two classified systems, one at the center of the system and the other making up its peripheral edges. The core of the nervous system's structure is the brain and spinal cord, also called the CNS or Central Nervous System. It houses the "response center" for the body, the part of us that reacts to stimuli such as cold, warmth, sweetness and pain, and gives responses to such stimuli. The brain itself is a nerve center, containing its own nerve system -- among others, the optic and olfactory nerves for sight and smell -- but it also receives input from the spinal cord and the "other half" of the system, the Peripheral Nervous System, PNS. The Peripheral Nervous System is a collection of organic ganglia -- biological tissue masses -- that sends messages to and from the brain and give responses to stimuli. Spread throughout the body from the CNS, the PNS is a network of neurons that are classified by the function they provide. Sensory neurons send out information about a stimulus to the CNS. Motor neurons take action through muscles and glands. Imagine a parcel delivery service that both sends and receives packages constantly and instantaneously, and you have a picture of the nervous system's mode of operation. 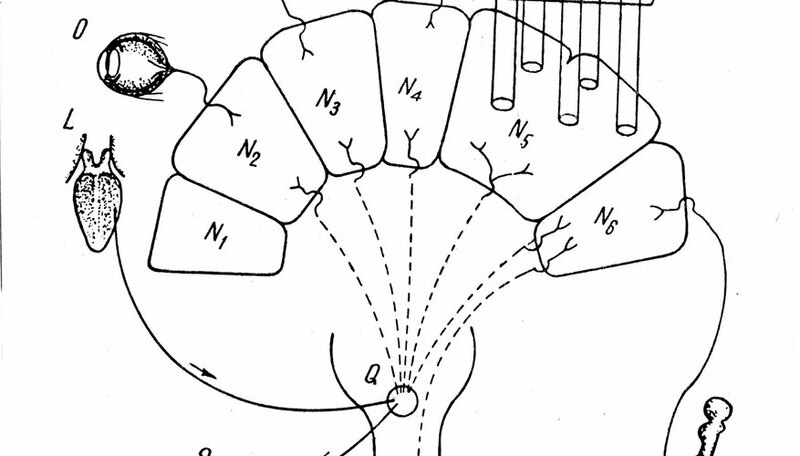 The nervous system's neuron network therefore deals in two responses, sensory and motor, that generate behavior. The fingers feel the tingle of cold. 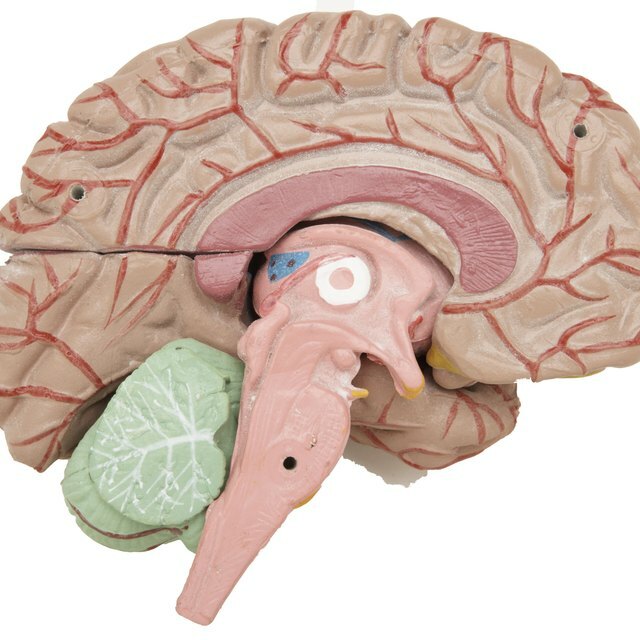 The ganglia report the sensation through the nerves of the PNS, which in turn carries the sensory information to the CNS and the brain. The brain responds by sending motor information back through the PNS to the effectors, the muscle and glandular system. The fingers shiver; perhaps the arms move in response to warm the individual. The entire nervous system, both CNS and PNS, has created that response. The motor nervous system, which carries out the combined reports and commands of the CNS and PNS, is also structured in two parts. One part is the somatic system, which creates voluntary movement that you consciously control -- you scratch yourself where you itch. The second part is the autonomic nervous system which is involuntary or reflex responses -- you "jump" when startled. Put simply, the PNS body tells the CNS brain what is happening; and the CNS brain tells the PNS body what to do about it. Howard Hughes Medical Institute: How Do Sensory and Motor Neurons Interact to Generate Behavior? Stratford, Michael. "What Is the Structural Classification of the Nervous System?" Sciencing, https://sciencing.com/structural-classification-nervous-system-14451.html. 17 September 2018.